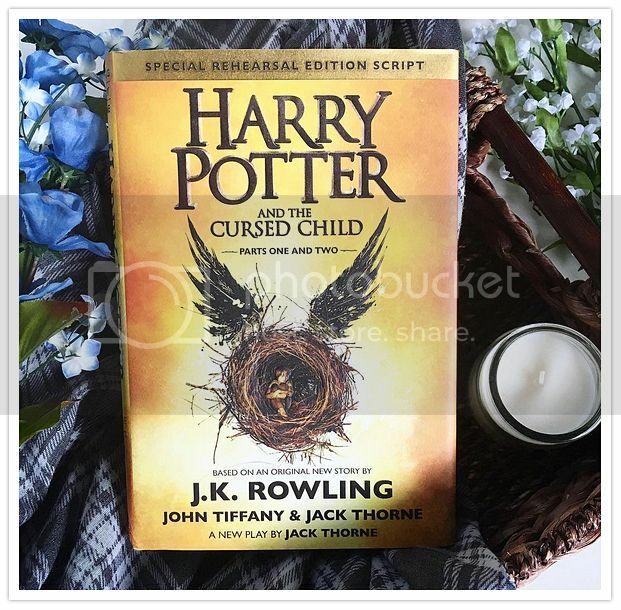 I originally had no intention of reading Harry Potter and the Cursed Child so soon after finishing the Harry Potter series. I wanted to save it, and read it when the Harry Potter shaped hole in my heart started hurting. That was the plan, anyway. But, things never seem to go as planned, and I have NO REGRETS about reading this book! To be honest, I didn't know what to expect from the book. I avoided reviews like one would a plague, so I was blissfully unaware of anything that happened in the storyline. (This was great, by the way, considering most of the original Harry Potter series was spoiled for me since I was so late to the party reading those books.) I also didn't know how I would enjoy reading the book in script format. I had seen some people complain that they didn't like it that way, but I found that I really didn't mind at all! Also, as with the previous books, this story drew me back into the Harry Potter world that I love so much, and I was instantly hooked. I love that the story picks up right where Deathly Hallows leaves off. So great. Even though I just recently finished the Harry Potter series, I was SO glad to be back into this world with Harry, Ron and Hermione. Seeing them all grown up was a really wonderful thing. I also love that we get to see ALL of the characters that I love from the previous books in this book in some form or another. And it was an interesting that some of the characters I was so unsure about before have an interesting twist to them in this story. THAT took me by surprise, in a good way. I'm definitely going to reread this book again soon, because I loved seeing all my favorites all grown up! 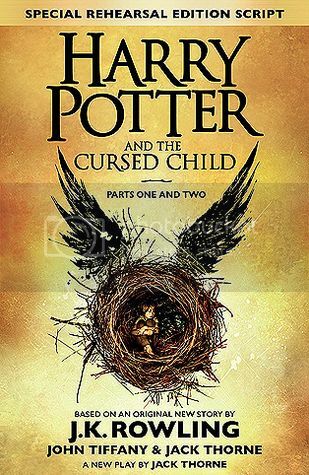 Overall; though I meant to save Harry Potter and the Cursed Child for a rainy day, I'm glad I went ahead and read it instead. I enjoyed it SO much, and basically devoured the book in just a few hours time. I can't wait to read it again. And again. And AGAIN. I'm not sure if there will be more books added after this, but if there are, I will TOTALLY buy them. Nice! I have heard soooo many mixed things about this one when it first came out! I was reading all the reviews that popped up because I literally didn't know if I wanted to read it or not. So I just put it on my wishlist for a rainy day and sure enough it was gifted to me recently. It's not high in my priority queue right now, but it's still one I would not mind reading! Glad to see you were one of the ones who really enjoyed it! Nice review!